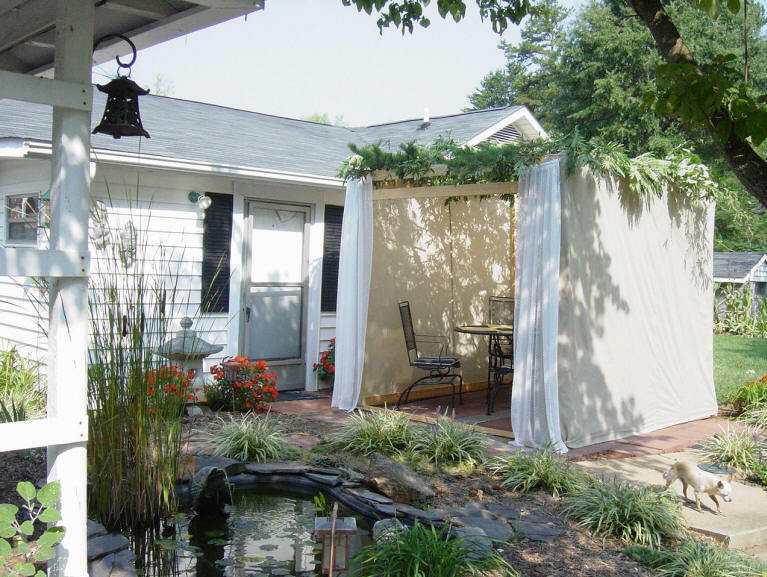 Sukkot (pronounced “sue-coat”) is a Hebrew word that means “booths” and refers to the temporary dwelling the Jews lived in on their forty year journey from Egypt to the promised land. This feast is the seventh and final feast of the Lord. 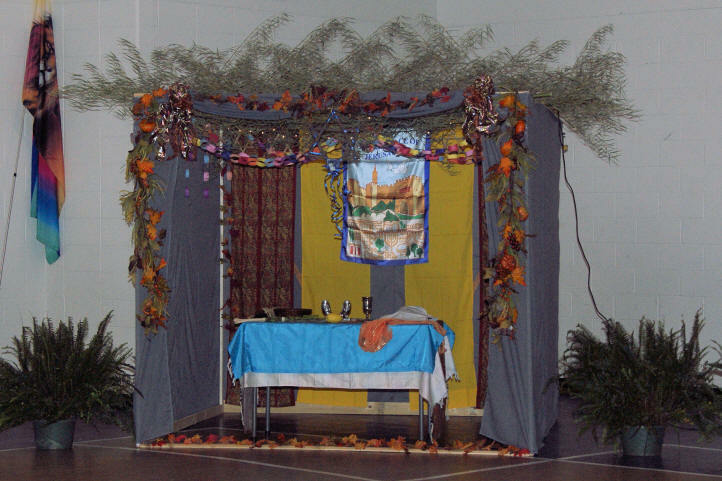 Sukkot (which can also be spelled Succoth) was one of the three Pilgrimage Festivals when all males were required to go to Jerusalem to worship the LORD. The Jewish people built booth-like structures and lived in them during the feast as a reminder of the temporary dwellings the Israelites lived in while traveling from Egypt to the Promised Land. 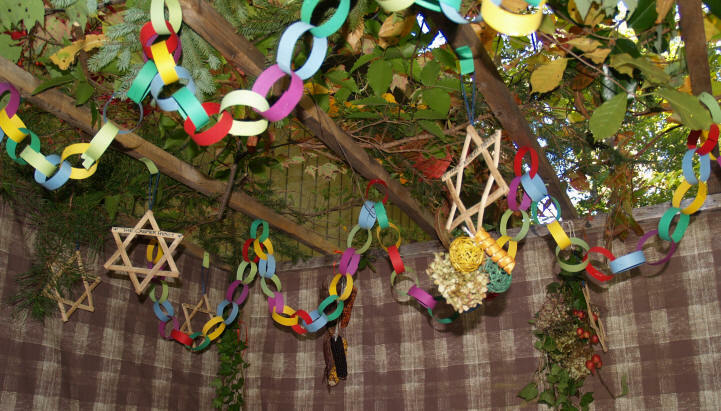 Today many Jewish and Messianic Believers build open-roofed three-sided huts for this festival and decorate them with tree branches, fruit, flags, and many other personal items. 34 Speak unto the children of Israel, saying, the fifteenth day of this seventh month shall be the Feast of Tabernacles for seven days unto the LORD. 39 Also in the fifteenth day of the seventh month, when ye have gathered in the fruit of the land, ye shall keep a feast unto the LORD seven days: on the first day shall be a Sabbath, and on the eighth day shall be a Sabbath. 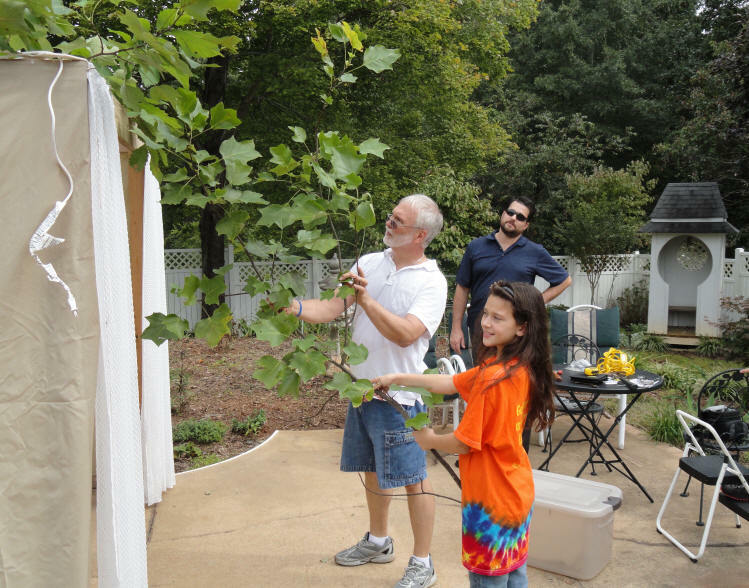 The Feast of Sukkot occurs on the Jewish Calendar from Tishri 15th to the 21st - coinciding with September or October. 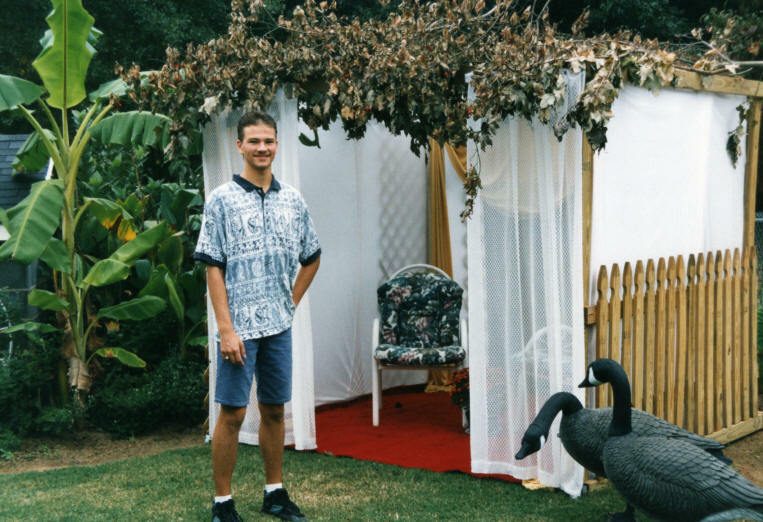 Sukkot was the first Festival of the Lord that Carolyn and I had the opportunity to experience back in the 1980s. 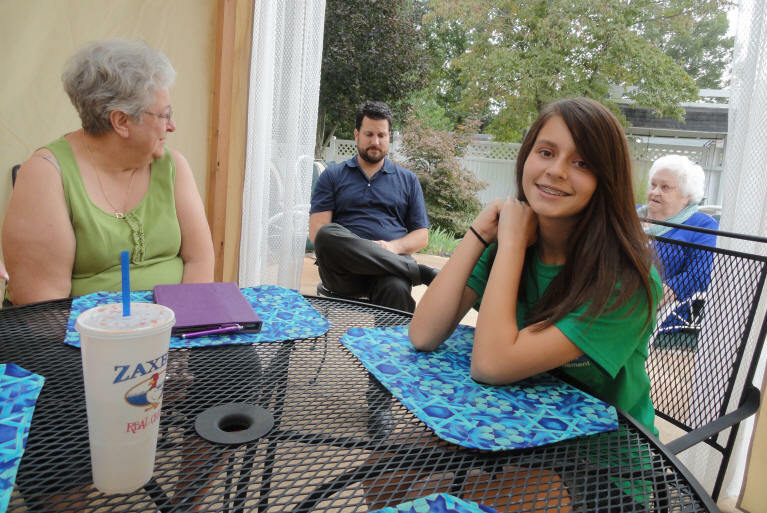 We had gone to Resurrection Lutheran Church in Charlotte, North Carolina, for a Feast of Tabernacle celebration, not really knowing what it was, or what to expect. At the time, I was serving as Minister of Music in Catawba County and we had actually gone for the praise, worship and dance opportunities, but the Lord had other ideas. Imagine walking into a church and there in the foyer was a wooden structure with leafy tree branches on the top and fruit hanging everywhere. It was wonderful, like nothing I'd ever seen before. I wondered why, if the Festivals of the Lord were mentioned in scripture, the church had failed to incorporate them into our yearly worship cycle. Thus began our own personal journey to better understand the Hebrew roots of our Christian faith. 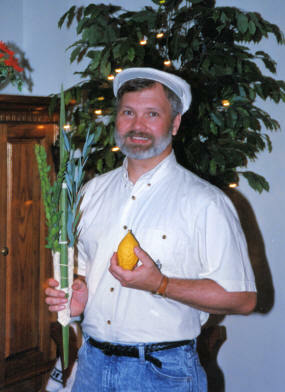 The Lulav, Hadas and Aravah when combined are referred to as the Lulav. They are held and waved to the North, South, East, West, Up and Down showing that God is everywhere. 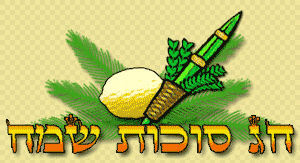 The Hebrew phrase "Hodu L'Adonai Ki Tov Ki L'Olam Chasdo", meaning "Give Thanks to the Lord for He is Good", is spoken as the Lulav and Etrog are waved. 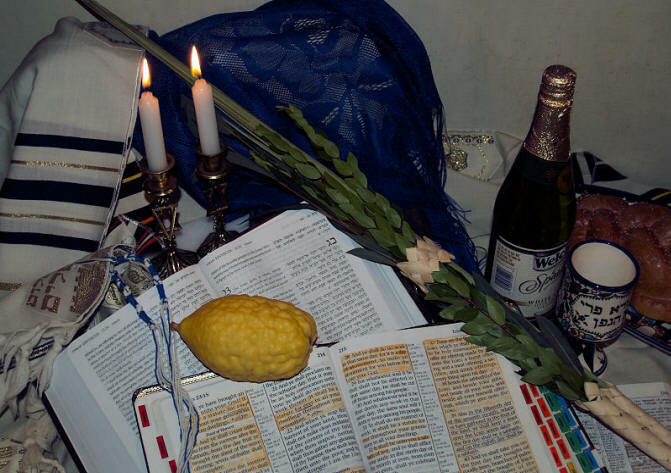 The easiest place to get a lulav & etrog (unless you live in Israel, or one of the larger US cities with a big Jewish population) is probably from the internet. 41 And ye shall keep it a feast unto the LORD seven days in the year. It shall be a statute for ever in your generations: ye shall celebrate it in the seventh month. 42 Ye shall dwell in booths seven days; all that are Israelites born shall dwell in booths. 43 That your generations may know that I made the children of Israel to dwell in booths, when I brought them out of the land of Egypt: I am the LORD your God. The sukka can be constructed of any light weight material. Just remember it is a temporary shelter. According to Jewish tradition, a sukka must have at least 2 ½ walls, preferably 3. The most important part of the sukka is the roof. Branches of “goodly” trees are used for the roof covering, but you must be able to see the stars. 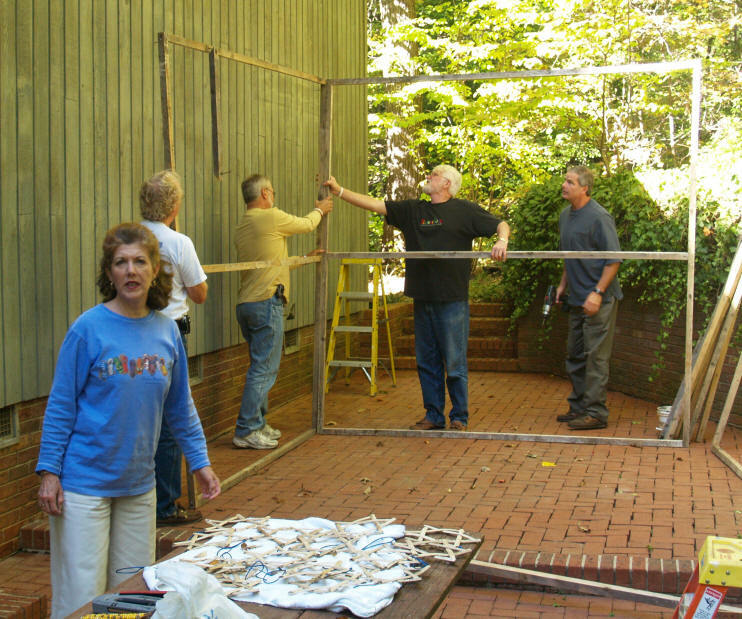 Wooden slats allow you to place the branches on top of the structure without them falling on your head. It is customary to “dwell” in the sukka. Dwelling implies eating, sleeping (if weather permits) and study. 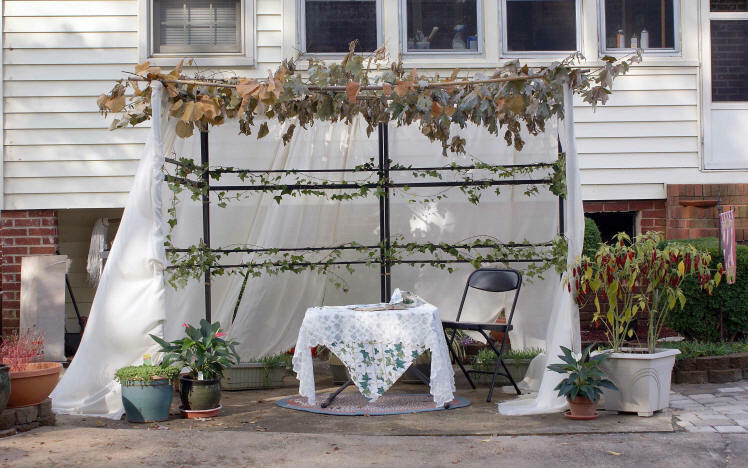 Sukkot reminds us that life is temporary. Even our bodies are temporary homes as we prepare for eternity with the Lord. In John 14:2, Yeshua even said “I go to prepare a place for you”. ... And how about that RED carpet! 13 Thou shalt observe the Feast of Tabernacles seven days, after thou hast gathered in thy corn and thy wine. 14 And thou shalt rejoice in thy feast, thou, and thy son, and thy daughter, and thy manservant, and thy maidservant, and the Levite, the stranger, and the fatherless, and the widow, that are within thy gates. Even if we're not native-born Israelis, or even Jewish, scripture says that even "the stranger" is to observe the Feast. 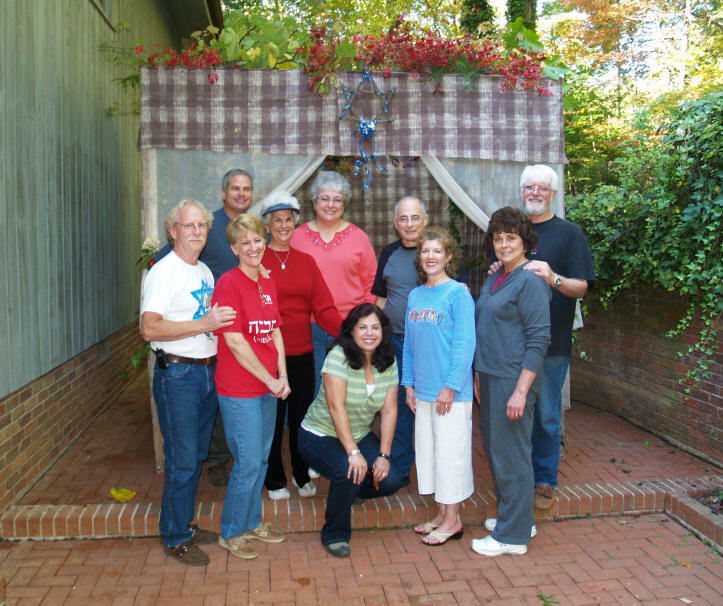 It's considered a mitzvot (commandment) to share your sukkah with others. 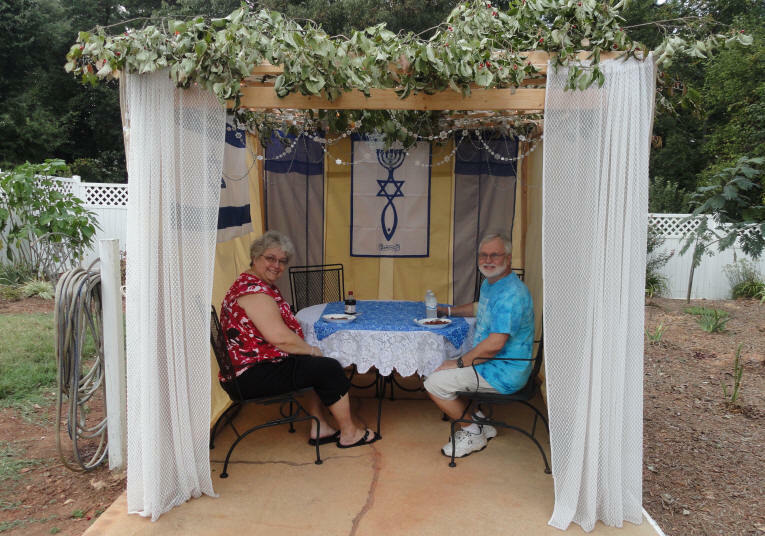 Guests are always welcomed at Sukkot. 14 And they (Ezra & the scribes) found written in the law which the LORD had commanded by Moses, that the children of Israel should dwell in booths in the Feast of the seventh month: 15 And that they should publish and proclaim in all their cities, and in Jerusalem, saying, Go forth unto the mount, and fetch olive branches, and pine branches, and myrtle branches, and palm branches, and branches of thick trees, to make booths, as it is written. 16 So the people went forth, and brought them, and made themselves booths, every one upon the roof of his house, and in their courts, and in the courts of the house of God, and in the street of the water gate, and in the street of the gate of Ephraim. Ezra brought part the the Judeans who had been in Babylonian Captivity back to Israel. 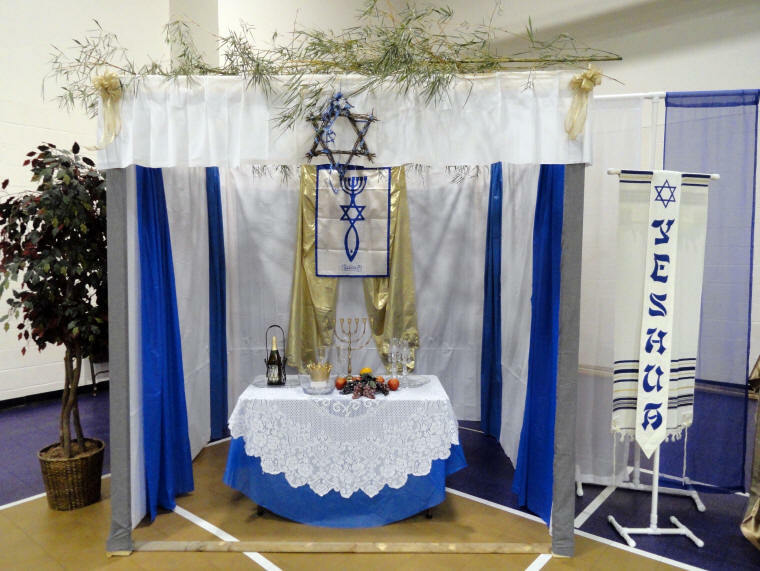 Because of the years they'd spent in exile, the Children of Israel had failed to dwell in booths during Sukkot - and had even forgotten about the command. When Ezra "found" written in the law that they were to dwell in booths during Sukkot, the people did so. We're living in a age when, just like Ezra, the Lord is restoring much that has been lost to those with eyes to see and ears to hear. 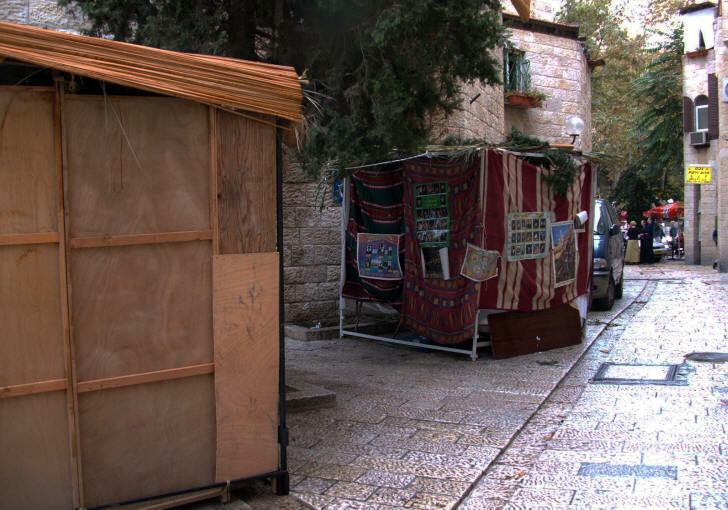 Yeshua observed all of the Biblical festivals - including Sukkot. 2 Now the Jews' Feast of Tabernacles was at hand. 11 Then the Jews sought him (Yeshua) at the feast, and said, Where is he? 14 Now about the midst of the feast, Jesus went up into the temple and taught. 37 In the last day, that great day of the Feast, Jesus stood and cried saying, If any man thirst, let him come unto me and drink. 38 He that believeth on me, as the scripture hath said, out of his belly shall flow rivers of living water. Israel is a dry country. Rain is important for crops to grow and do well. 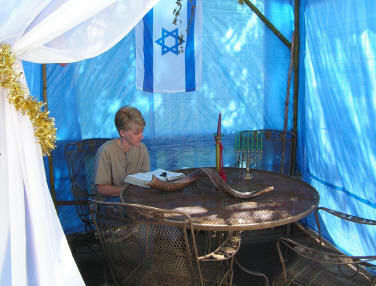 The Water Libation ceremony was a part of the Sukkot celebration. During the Water Libation Ceremony, the High Priest would go to the Pool of Siloam and carry water back to the temple in a golden flask. There the water would be poured (with wine) into a silver pitcher on to the altar. The High Priest would pray for rain for the coming year. On a spiritual level, the prayer was for prophetic inspiration. 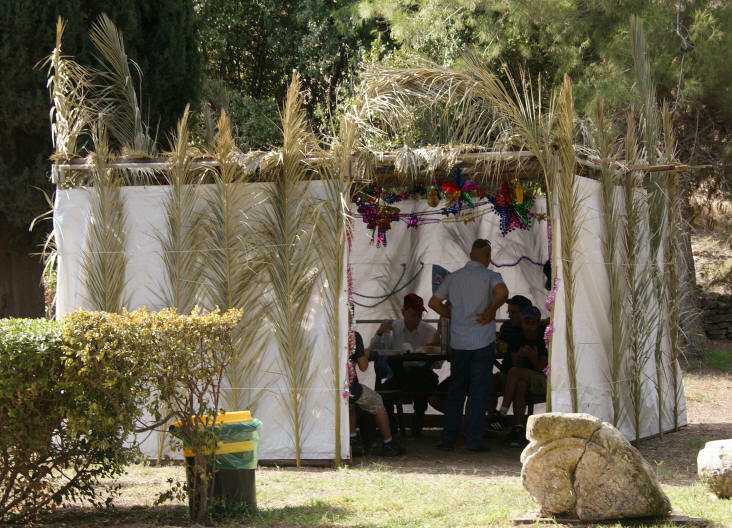 Sukkot like all of the Biblical Festival is known by a variety of names. 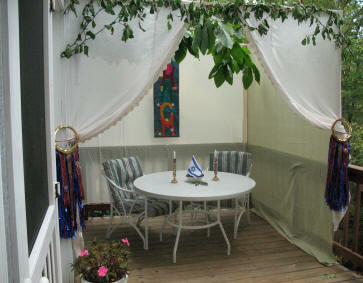 The actual festival of Sukkot lasts for 7 days. This is when prayers for rain would be offered. The 9th day is called Simchat Torah or Rejoicing in the Torah. There is singing and dancing in the synagogues and even in the streets. 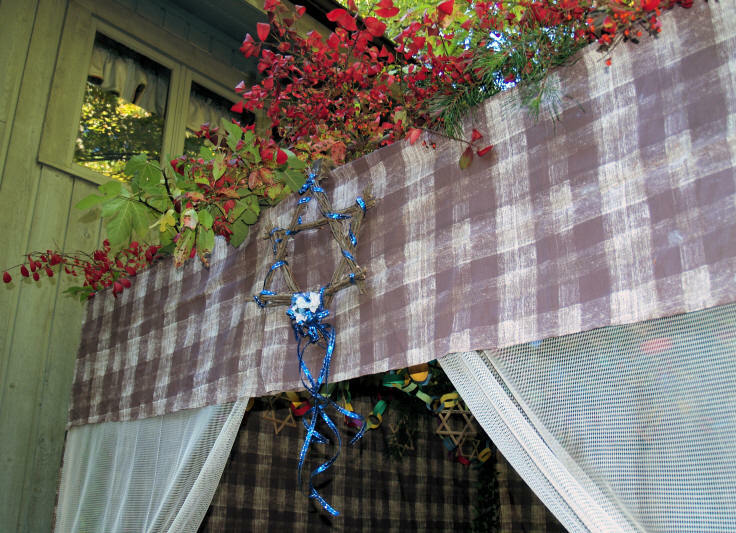 Shemini Atzeret and Simchat Torah are separate holidays, but are both related to Sukkot. 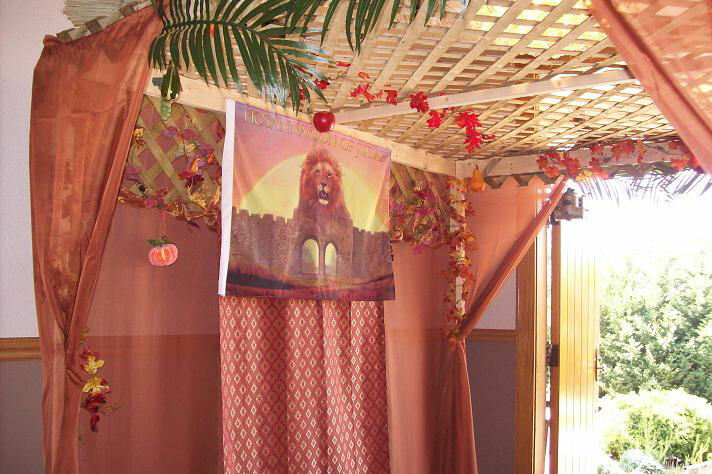 Most of the world celebrates Sukkot for nine day, but in Israel the festival is only eight days. 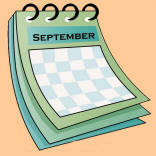 Add these date to your calendar to be prepared for Sukkot over the next few years. 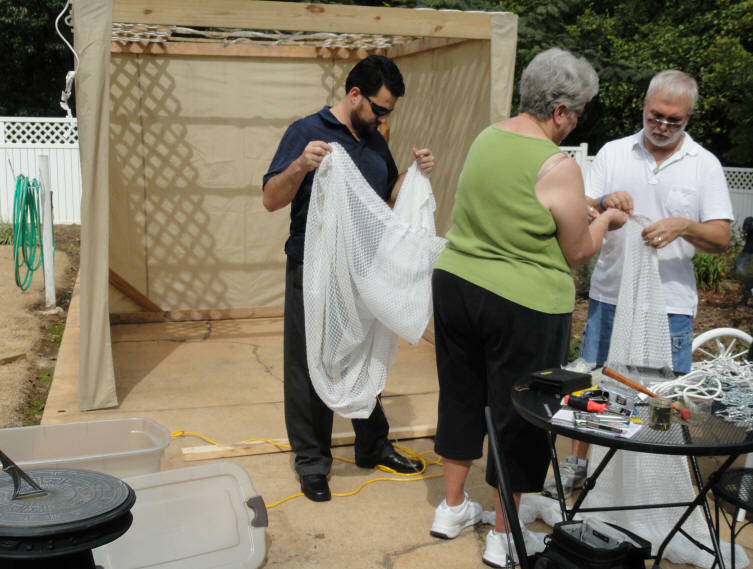 Sukkot reminds many people of the American holiday Thanksgiving. Is it all a coincidence that the American Pilgrims chose to express thanks to God for survival and good harvest in the fall of the year? Could they have gotten the idea from looking to the scriptures of Leviticus 23? 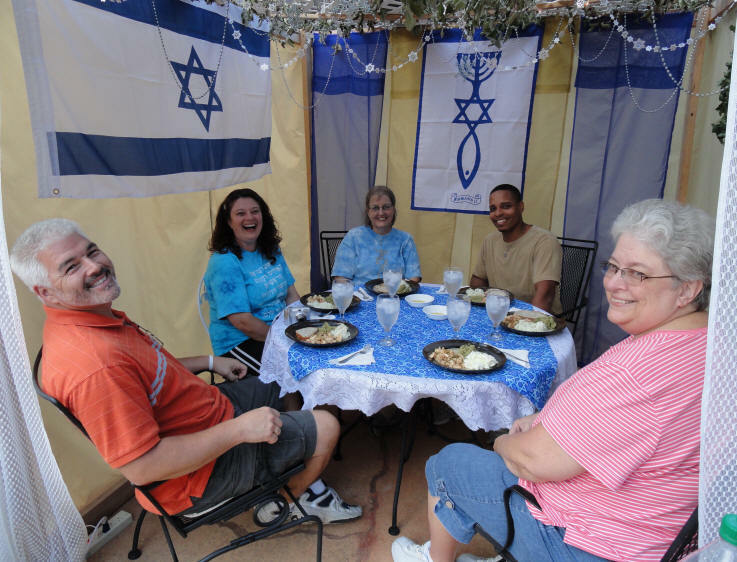 According to the prophet Zechariah, in the messianic era Sukkot will become a universal festival and all nations will make pilgrimages annually to Jerusalem to celebrate the feast there. Unlike the other Biblical Festivals, this one specifically includes the "nations". 16 And it shall come to pass that every one that is left of all the nations which came against Jerusalem shall even go up from year to year to worship the King, the LORD of hosts, and to keep the Feast of Tabernacles. 17 And it shall be, that whoso will not come up of all the families of the earth unto Jerusalem to worship the King, the LORD of hosts, even upon them shall be no rain. This has become one of my favorite festival scriptures. Not only does it speak of Succot, but also informs us that we will be observing Sukkot during Messiah's 1000-year reign on Earth. This scripture puts to rest the suggestion that some have that the festivals are a thing of the "past". They should also be a thing of our "present", just like they will be in our "future". 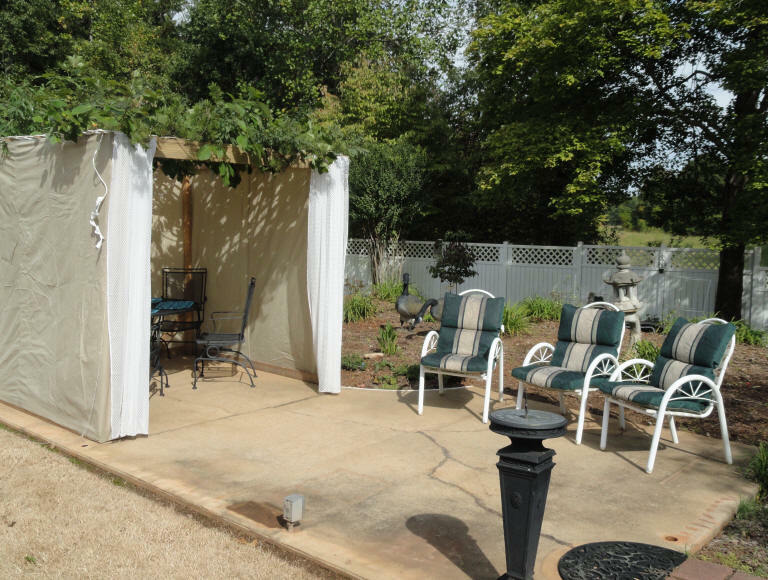 Sukkot speaks of the final rest, as well as the final harvest. The Apostle John wrote in Revelation 21:3, "Behold, the Tabernacle of God is with men, and He will dwell with them, and they shall be His people, and God Himself shall be with them, and be their God." It is our prayer that soont here will come the fulfillment of all which Yeshua promised, saying in Revelation 21:6, "I am the Alpha (Aleph) and Omega (Tav), the beginning and the end. I will give unto him that is athirst of the fountain of the water of life freely." 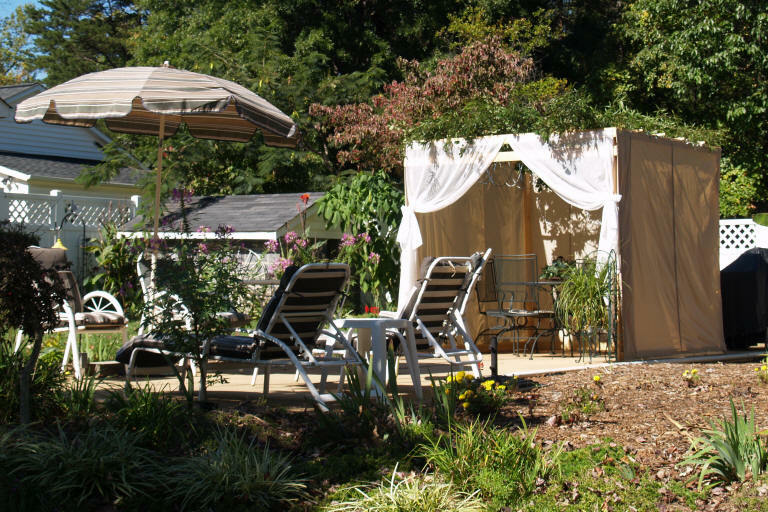 How many sukkot do you see? There are eight. Did you find them all?